Ever get jealous looking at the perfectly styled pictures on other people’s blogs and Instagram? Because I do. And for the longest time, I didn’t know how I could get perfect blog photos myself. Now granted a lot of those bloggers have better photography skills and better cameras, but they also have gorgeous stuff. I might not have the practice yet, and those cameras are expensive. But I can and will have pretty blog props that allow me to beautiful style my pictures. 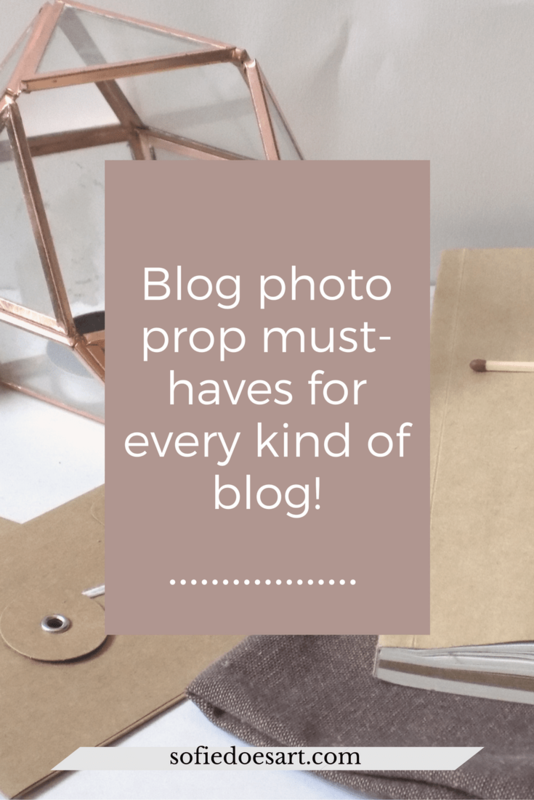 When you take photos for your blog it can be handy to have some props to style those photos! In the beginning of this blog, I wrote a post which props I bought. Since then I have gathered some more and learned a thing or two about which ones are very useful to have. This is for everybody who wants to make their own blog photos! Backgrounds for a blog photo can be anything. Get your magazines, textured paper, cutting boards and more so you can get different backgrounds for different photos. The more options you have the better! An example; In one of my local dollar stores I saw placemats which were just $1. And they had these amazing patterns like marble, tiles and wood. These are a great cheap option to get backgrounds for your photos. Fabrics like scarfs, shirts and such are also amazing as fillers for empty space. The above are mostly for flat lays. But of course, we also like some variation! You can use curtains, wall and paper for as a background that stands upright! Get in your nice pens. My biggest mistake is buying nice stationary but forgetting to get nice pens. It is really such a cheap but important detail. Other great stationary things are little note blocks and books. You can find very nice ones for not very expensive. They make great props and they are also very useful! If you can’t find any nice ones you can always decorate them on your own! There are may DIY crafts for upgrading your notebooks and make there more beautiful. Or to even create your own entirely. Washi tape is another great way to decorate notes and stationery that you already own and make them look new or different. I think the key here is to keep in mind, not just what you like, but to keep your brand in mind as well. Get yourself a nice cup or mug to drink your coffee or tea from and to feature in your blog photos. Cups are a staple prop in many blog photos. When filled with a warm beverage many people already feel invited in. I think a white cup is always handy for a neutral and easy to use look. Luckily other things can help in this category as well! Other great things are bowls and vases to showcase things in. Or you can use plates to showcase items as well and get interesting backgrounds. For example; I use little glasses to put stuff in for my blog photos. This just makes things look organised and neat. There are many options to try. More to read; How to work on your blog photography! Great props are not always forever. Great props can be things like balloons, glitters and flowers. I love using them in pictures but unfortunately, you keep needing new ones. I have seen many gorgeous (Instagram) pictures which use flowers. Luckily for flowers, there is always the option for fake flowers. Ikea, for example, has quite some beautiful fake plants and flowers. But your local dollar store might have someones as well. The good thing about fake flowers is that they last forever and they don’t make a mess. Food can make another great temporary prop. (and cleaning up this prop is always fun) Think macarons, doughnuts or little petite fours or maybe even cakes or cocktails. Make sure this also ties in with your brand again (and maybe your blog post topic). You can get many different colours glazed doughnuts, for example, maybe chocolate fits you colour theme better. Read more; What I learned from food photography for my art blog! 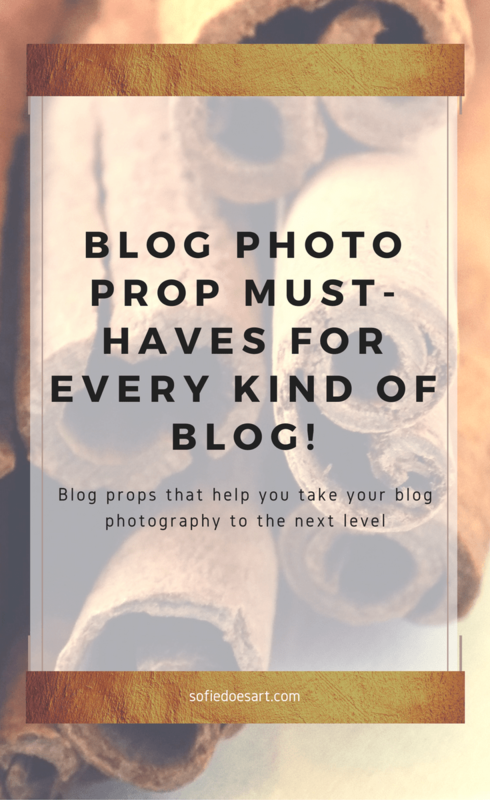 Blog props are great to have to spice up your photography and make them branded. Plus many of the props are great outside of your blog as well. I mean, who doesn’t like stationary. Hopefully, this gives you some ideas for your next shoot. 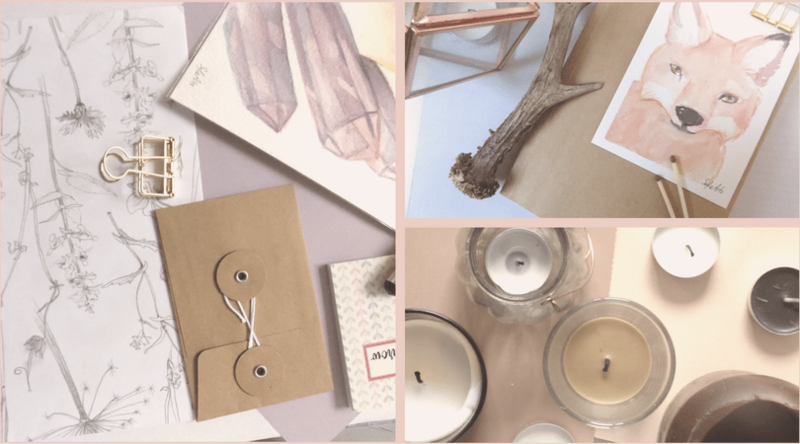 I would love to see your favour blog props so feel free to leave a link below! Also, I would love to hear; what do you find the most difficult part of making blog photos?